At some point in our lives each and every one of us will be blessed with the task to plan a special event. Almost every special occasion is a planned event, whether it is your best friend’s birthday, a wedding or even a religious event like a bar mitzvah or first communion. Planning events is such an incredible task that people even make jobs out if it; this is what we call professional event planners. It’s hard to know where to start especially when it’s your first event and you have no experience in planning. It’s crazy wrapping your head around the different aspects and responsibilities when it comes to perfecting an event, the décor, the music, the venue, and most importantly the food. So what can help you relieve the stress from planning? It is always beneficial to have another point of view, especially someone with experience. 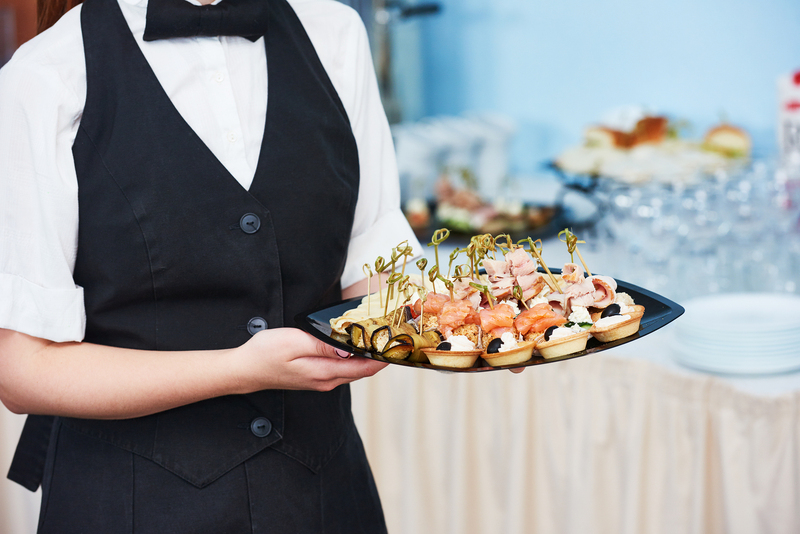 Catering is one of the most important tasks that can make or break your event, that’s why catering managers take over to help clients plan and execute events. Catering managers can help you ease the stress when it comes to choosing the right foods for your event; they understand exactly what it means to make an event memorable. They recognize all aspects that the normal person wouldn’t even think of, such as dietary restrictions, what types of food are suitable, and basically all logistics regarding the staffing, décor, and food. They assist and work directly with you to customize a menu based on your unique needs and budget concerns to make sure your event is truly spectacular. Instead of ordering pizza or cooking food for your own event, imagine having the choice of choosing different plated meals and the foods for your late night stations that already sounds appealing enough. So, what sets a great corporate event apart from others, it is the food that people will remember above all. Just think about any event you have been to, corporate events, weddings or birthdays, the one thing that is always remembered is the variety and taste of food. When it comes to providing a great spread of amazing foods available for any event you need to balance a variety of flavors and textures with food that everyone can enjoy. The best catering services in the Toronto, GTA area are very aware of this, and design their menus accordingly. It’s also important that you research a catering service with years of experience planning and executing, so you’re well taken care of with someone who knows exactly what they’re doing. Whether it’s a corporate event, a wedding, or a private event it’s important to find a caterer with expertise in each. It is also very important to be aware of any other requirements that you may have so that the menu can be adjusted to exactly what you want for your guests. This can be anything from healthy food choices to special dietary requests. Anything from nut and gluten free requirements, or even vegan and vegetarian menus are important to perfectly suit your guest’s needs. Preparing for any corporate event can be a little stressful at times. It does not need to be, with careful planning and the right attitude you will be able to get the perfect setup for any event in Toronto. When you have a team of professional caterers working to bring you the best food to your event, you can sit back and know that your guests will enjoy the night, and have great memories of the delicious food.